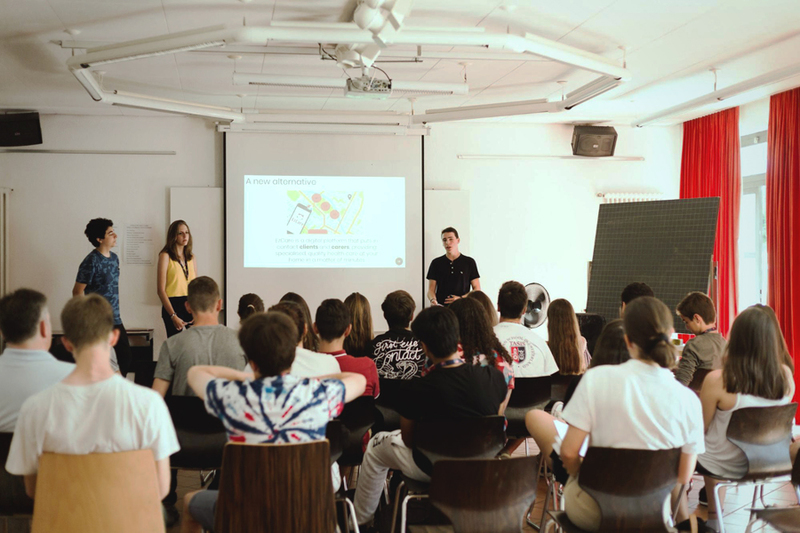 As a successful first session of the TASIS Summer Program’s new Lean Startup Masterclass neared its conclusion, students in the class had the opportunity to present their business proposals to their classmates and interested visitors on July 17. But before talking about the exciting ideas these aspiring entrepreneurs introduced to the group, you may be thinking, what exactly is a Lean Startup Masterclass? Who exactly is my customer and which problem am I solving for him or her? How do I gain real insight into my customer: how do I do good customer interviews? Understanding the business fundamentals: should I build my business (is there a need in the market? ), can I build my business (do I have access to all necessary resources? ), and is it economically feasible (can I make money)? How can I mitigate or reduce the risks in my business as quickly and cheaply as possible? Which experiments are best suited at which moment in time—customer interviews, Facebook advertising campaigns, surveys, etc. 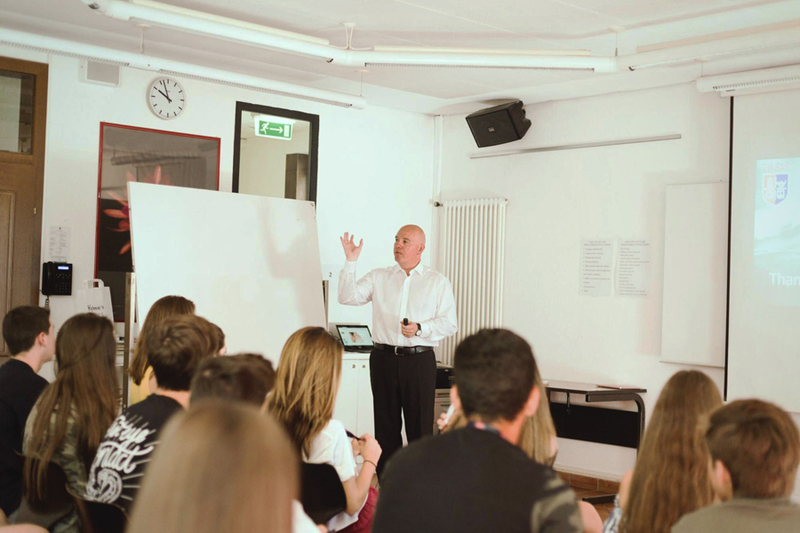 For more background on this exciting new course, which will be offered again in the summer of 2019, see this article on the TASIS Blog. But back to business. For a proposal to be considered successful, students had to show evidence of their product’s traction in the market. All groups had to do actual customer interviews followed by a real (paid) Facebook advertising campaign. 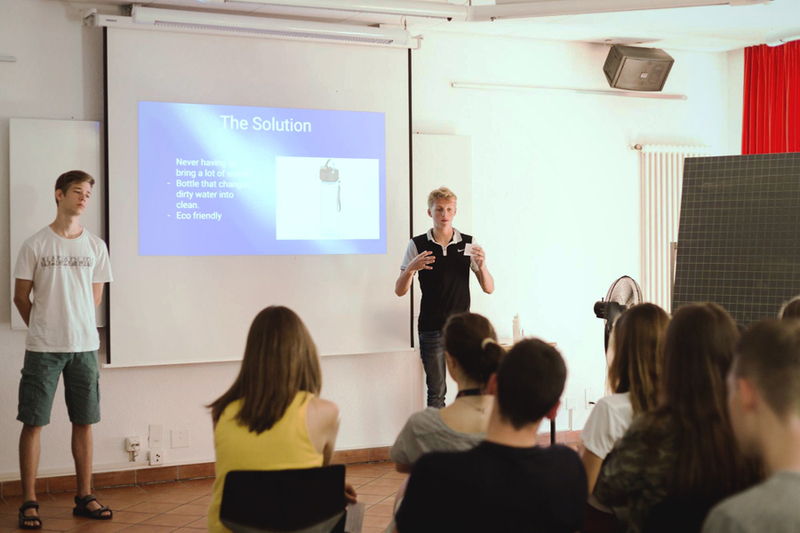 To pitch the ideas effectively, each group had to explain the problem it was solving for its customers and which solution it proposed to tackle it. Furthermore, teams had to present the specific customer segment they wanted to target, the evidence of traction with this customer segment from their experiments, the size of their opportunity (how big could this business become), and what they needed in order to move forward (e.g. an investment to run new advertising campaigns or to create a prototype). After extensive research and creative thinking, the groups came up with four innovative ideas, the details of which you can read about below. See more photos from the Lean Startup Masterclass on the TASIS SmugMug page. One group created a new skincare brand, Basalt, marketed to teenagers and young adults unsatisfied with their current beauty products. The group focused its attention on one problem: people pay too much money on beauty products that have no effect. Their solution? To produce an inexpensive product that is easy to use, is effective, and gives women confidence in their skin. The students in this group decided that their product would be sold online, as their research indicated that 47% of people shop online for skincare products. To expand the business, the group considered creating partnerships with other beauty brands and finding brands to sponsor them. The Elephant Watches group targeted those in search of easier access to information without having to carry a smartphone. The goal of the product is to create “a future based on simplicity.” The product itself is a smartwatch appealing to adults between the ages of 25–34 who lead active and busy lives or have professions that require a lot of communication. This group tackled the problem of competing against similar products on the market, such as Apple Watches. Their solution? An Apple Watch is connected to an iPhone whereas their product is independent from a smartphone and is more affordable. 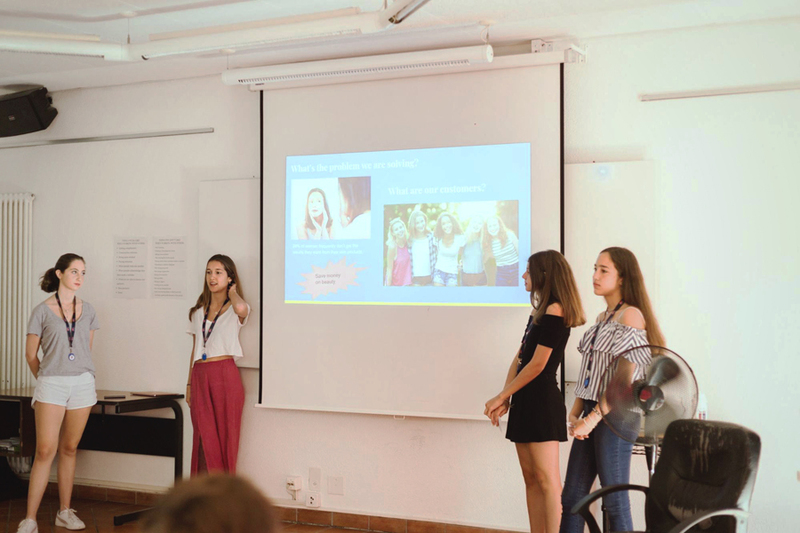 To discover whether their product would be successful, these students created a Facebook advertisement from which they found that 88% of interest in their product came from people in their targeted age group. They also calculated that for every $8 spent on advertising, one $250 watch would be sold. This group created a water bottle capable of making any water drinkable through a filtering system. Their targeted customers are active people, such as hikers, bikers, and mountain climbers. These students chose a different strategy to advertise their product—using famous athletes to promote and expand their brand. The group calculated the success of its product by analyzing hiking data from 2008 and 2017, which demonstrated that there has been significant growth in the number of hikers in the United States over the past decade. 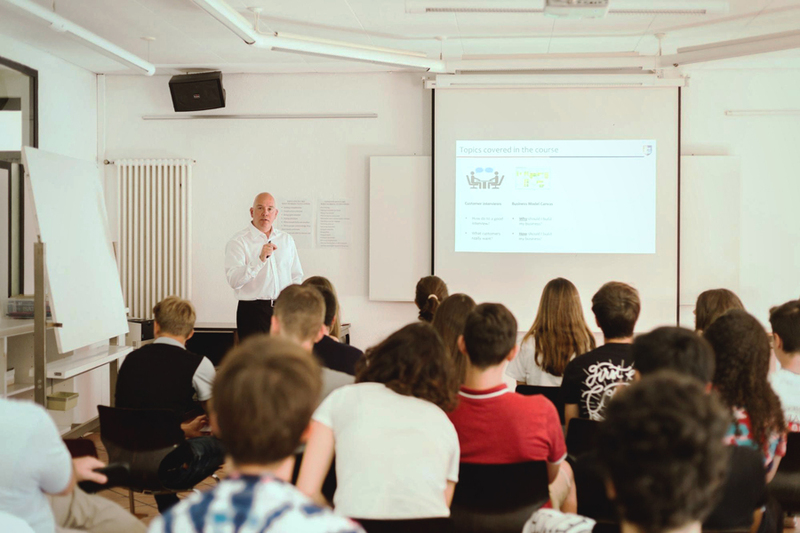 After having discovered that their product would be unsuccessful in Switzerland—due to the fact that clean water is already easy to access—the students chose the US as the country they would begin selling their product in. Different from the other products, EzCare is an online platform that provides instant health care for people who need care in their own home. The problem the students in this group sought to address is the cost and complications of conventional healthcare. This guided them toward their solution of bringing health care to a patient’s doorstep and allowing the customer to choose the type of care they want by selecting specific profiles. EzCare is a platform proposition, which means that it aims to bring together people who need care at home with people who are able to provide care. EzCare aims to do this in a cost-effective manner so that the care is affordable to a large group of people. Each business proposal was unique and thoroughly researched, covering each step needed to create a successful business proposal. The Lean Startup Masterclass itself gave these students an enjoyable first look into starting a business and all that it entails. Mr. Verhagen—who for more than 20 years has worked on bringing new ideas to market, both inside and outside large corporations—feels that the inaugural class was a major success.